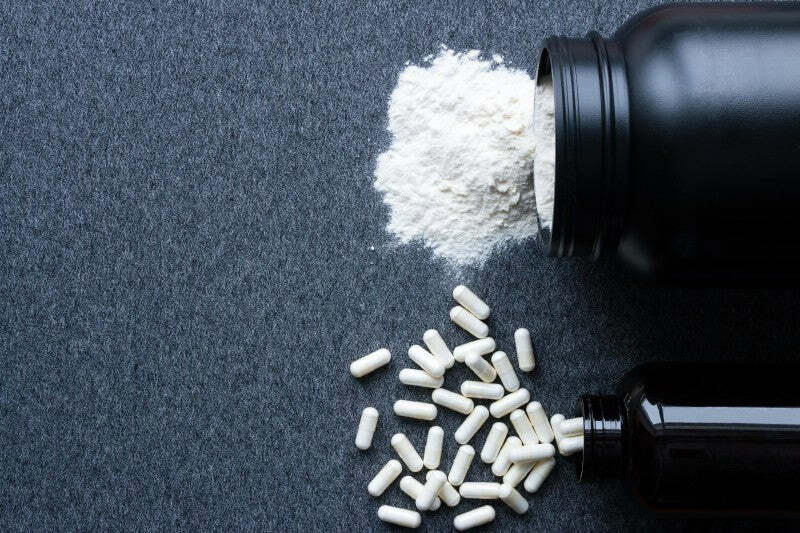 There's been a steady rise in the number of new DMAA supplements hitting the market in recent months as Hi-Tech Pharmaceuticals continues to fight the good fight against the Federal Drug Administration (FDA) for the safety and legality of DMAA. Search the internet and you'll get all kinds of answers from DMAA is perfectly safe to it's worse for you than black market narcotics. But what's the truth about the safety of DMAA? Will you be OK taking it in your pre-workout, or is it setting you one the fast track to an early grave? we've got all of your questions answered ahead, but before we get to the safety of DMAA, let's take a moment to refresh your memory on exactly what this wonder-stim is all about! 1,3-dimethylamylamine (DMAA) is an aliphatic amine that possesses a structure similar to that of amphetamine, methamphetamine, and 3,4-Methylenedioxymethamphetamine (MDMA). Aliphatic amines are compounds with a Nitrogen molecule bonded to alkyl groups with no aromatic rings present. DMAA is an extremely potent central nervous system (CNS) stimulant that enhances energy levels similar to that of caffeine, but works a tad bit differently. While the exact mechanisms through which DMAA increases energy isn't 100% certain, most researchers agree that DMAA stimulates noradrenaline (norepinephrine) release in the brain. Along with adrenaline (epinephrine), noradrenaline is one of the body's fight or flight neurotransmitters released during periods of stress (i.e. being chased by a jaguar!). FYI, noradrenaline is technically a catecholamine but does function as both a hormone and neurotransmitter in the body that's produced by the adrenal glands located on top of your kidneys. As the adrenal glands pump more noradrenaline into the blood, heart rate, blood pressure, and blood flow to skeletal muscle tissue all increases. Release of noradrenaline also stimulates glucose to be released from glycogen stores in your body, which can be used to power your muscles during intense exercise. In terms of noticeable effects, noradrenaline significantly improves focus, attention, motivation, alertness, energy, and reaction time. In other words, DMAA gives you a swift kick in the pants to get moving ASAP! Additional research indicates that DMAA may also increase dopamine levels in the body, which enhances executive function as well as overall mood, focus, and concentration. This is one of the main reasons people love DMAA in pre-workouts and fat burners - you feel great and have endless energy to get work done! That's great and all, but you're probably still wondering if DMAA is even worth taking if it's going to harm you in any way. Now we've arrived at the portion of the article you're really interested in... Is DMAA safe? Well, that's a bit of a complicated issue as things currently stand in the opinion of the FDA. According to the feds, DMAA is not safe. However, that's not really the whole truth. So if the FDA denied the existence of DMAA, but in actuality knew it was found in nature, could they also be wrong about the safety of DMAA? As it turns out... YES! Now, a 2012 study reported several cases of cerebral stroke that were attributed to use of DMAA as a party drug. However, the pills that were consumed by those individuals contained 600mg DMAA, 10 times more than you would ever see in a sports nutrition supplement! While there is no optimal dose of DMAA, most supplements tend to range anywhere from 25-70mg per serving, with 55-65mg being the sweet spot based on numerous anecdotal accounts. If you're a DMAA novice, it's strongly advised to being with a ½ serving of whatever DMAA-inclusive product you're testing to gauge your own reaction to this potent stim. Just be advised that DMAA does come with a very quick tolerance buildup and that's why most users only use DMAA supplements 2-3 times per week at most, so as to keep feeling the same great focus, energy, and euphoria without needing to continually up the dose. There's been a lot of misinformation and confusion surrounding the safety and legality of DMAA. For the time being, DMAA is still alive and can readily be found in numerous pre-workouts and fat burners. Provided you're in good physical health, you can feel free to try DMAA for yourself knowing full well that the amounts included in your favorite supplements provide no immediate risks as shown in the research and court documents. Now, all you need to figure out is which DMAA product will you try first?! 2) "1,3-Dimethylpentylamine | C7H17N - PubChem." The PubChem Project, pubchem.ncbi.nlm.nih.gov/compound/7753#section=Top. 6) Schilling BK, Hammond KG, Bloomer RJ, Presley CS, Yates CR. Physiological and pharmacokinetic effects of oral 1,3-dimethylamylamine administration in men. BMC Pharmacology & Toxicology. 2013;14:52. doi:10.1186/2050-6511-14-52. 7) "DMAA in Dietary Supplements." U S Food and Drug Administration Home Page, www.fda.gov/Food/DietarySupplements/ProductsIngredients/ucm346576.htm. 8) "Wenik-declaration.pdf - DocDroid." PDF Upload - Share Your Documents - DocDroid, docdro.id/q4KRRat. 10) "DMAA Toxicology Report.pdf - DocDroid." PDF Upload - Share Your Documents - DocDroid, docdro.id/nfY14Ox. Any sexual issues related to this supplement? I read that you need to take a testosterone supplements upon quitting the cycle of it. Which products still contain DMAA?? Have yet to see any actual scientific evidence that DMAA is unhealthy or bad for you, just scare tactics and scapegoat ingredient.